Fujitsu Philippines Inc., a leading Information Technology (IT) systems integrator and solutions provider in the Philippines, recently launched its new office in Sta. Rosa, Laguna to strengthen its operations in the region. According to FPI president Raul “Cricket” Santiago III, the Laguna office will serve as the consultation office for its more than 75 customers in the South, bringing the company’s products and services closer to them. “With the new office in place, our customers no longer need to waste their time in travel. Now, our workforce can address our customers’ I.T. woes faster and more efficiently,” Santiago said. The office is designed as a “hot desk” where employees can use different work stations during shifting time periods. This means that no permanent seats are provided for each employee. This is intended to encourage more customer interface outside the offices. “Our employees are expected to work outside the office, usually where their clients are. For closed door meetings and other consultations, they can invite the customers here and discuss important matters,” Santiago added. The new satellite office, according to Santiago, will allow his team to focus more on its clients within the area, helping them innovate their business as demanded by the spurring growth in Laguna. Furthermore, it opens more convenience to its employees who reside in the region. “The province continues to boom, spurring further growth across different sectors such as real estate, manufacturing, automotive and BPO, with further growth shared by the SMEs. Through our new office, we will be able to service our customers and potential clients with our end-to-end solutions without a sweat,” Santiago said. 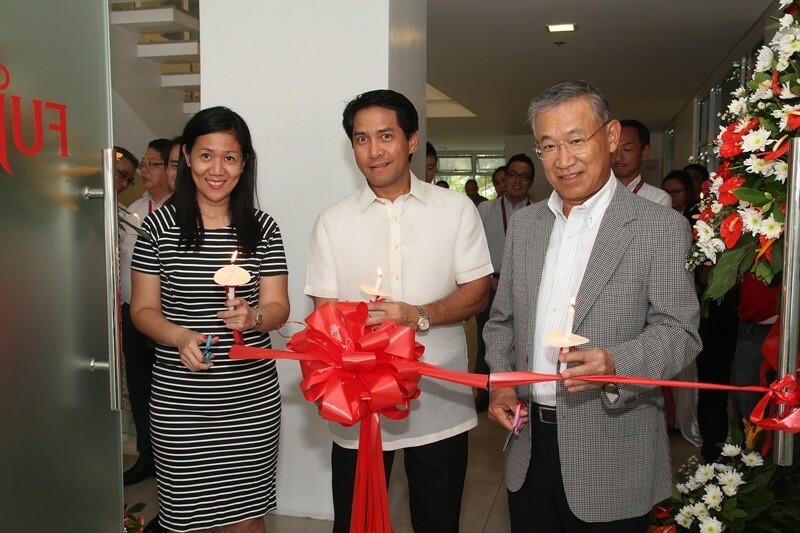 The opening of the new satellite office comes on the heels of Fujitsu’s 40th anniversary of successful business operations in the Philippines. This will offer the company’s services ranging from infrastructure and enterprise solutions, managed and application services. Reflecting at Fujitsu’s modest achievements over the years, Santiago ensured that the company will continue to foster new innovations to improve the lives of millions and raise new breeds who have the potential to be the next industry leaders. Wonderful gifts from Honda Philippines. Inc.